Top Fitness Videos & Workout Apps To Get You Started This New Year! HBFit TV is the Youtube channel of Hannah Bronfman, DJ and founder of her namesake website, HBFIT.com. Aside from potential new favorite workouts, Hannah also features her fit posse in her videos on health, beauty, and fitness. POPSUGAR Inc. is a leading women’s lifestyle publisher that strives to deliver inspiring, informative, and entertaining content for women of all ages, and it shows in their Youtube channel. Dedicated to fitness, POPSUGAR Fitness features some fun and up-to-date workouts taught by some of the leading fitness instructors today. Want 30-, 20-, 10-minute workouts? Get them in almost every fitness discipline available: hip-hop, tabata, you name it, POPSUGAR has shot it. Not a big fan of the sweaty, cramped yoga studio? You’re not alone. There’s a big reason why the online Yoga community is huge, and Yoga by Adriene has the 235,919,901 views and 3 million subscribers to prove it. Join her 30-day Yoga Journey and scroll through the comments to see how lifechanging maintaining a consistent practice has been for her online followers. This husband-and-wife run Youtube channel has over 500 free workouts that range from beginner (low-impact cardio exercises to people with knee issues?) to advanced. You can even download their free customizable online workout calendar (ergo the name, Fitness Blender) to track your progress as you subscribe to Daniel and Kelli’s workouts. GUAVAPASS and KFit are both “fitness pass” services that allow you to subscribe to their services for a fee. The fee will entitle you to workout at various fitness studios, gyms, sports centers, and in KFit’s case, enroll for spa activities as some spa centers in Metro Manila. Get Fit MNL, on the other hand, is a website that compiles all available information on the growing number of fitness studios that have been opening in the Metro in the past couple of years. Not in the mood to spend on a membership? Use your mobile. 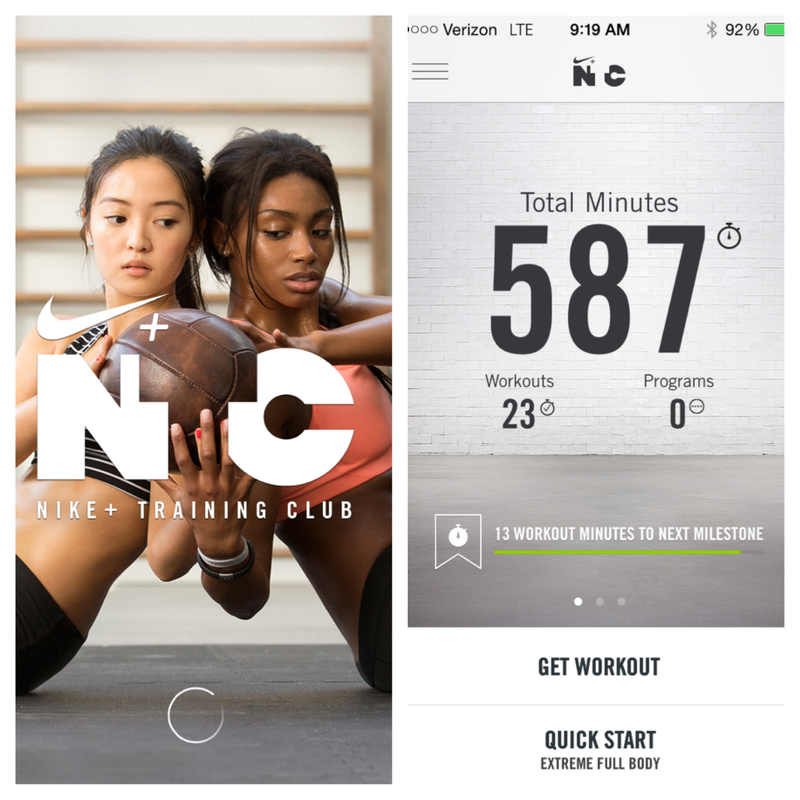 Nike Training Club (NTC) is the official fitness app of Nike. With 100+ workouts, even the option to sync your own Spotify playlist to your chosen workout, it’s a great alternative that won’t break your wallet. Get Fit in a Flash Before Your Special Day! Happy New Year from Glamourbox!